Joyetech has given us a lot of great and innovative products and just like robots they seem to never stop. Here at E Cigarette USA present the Joyetech Cubis Sub-ohm Tank. This tank does everything through the top, eliminating sloppy liquid spills and undesired fumbles. It's top cap unscrews for you to fill your Clearomizer and it's also how you change your coils. 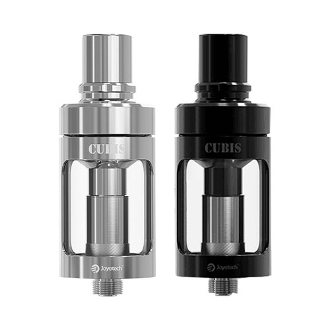 That way when it is time to change your coil, the Cubis acts like a cup and holds the liquid in place. The top section also includes the hidden adjustable airflow control which can be adjusted based off of your preferred vaping style.